Enhance the look of your bedroom or sleeping space with Valentino King Bed with Storage in a plain and classy shade of Maple Brown. Crafted for compact homes, Valentino bed is clean and convenient. It has ample storage for all your bedding essentials and things that aren't used frequently. This bed has an understated design aesthetic that adapts to any space. The subtle and colour and elegant design add up to the beauty of your bedroom blending perfectly with your interiors. 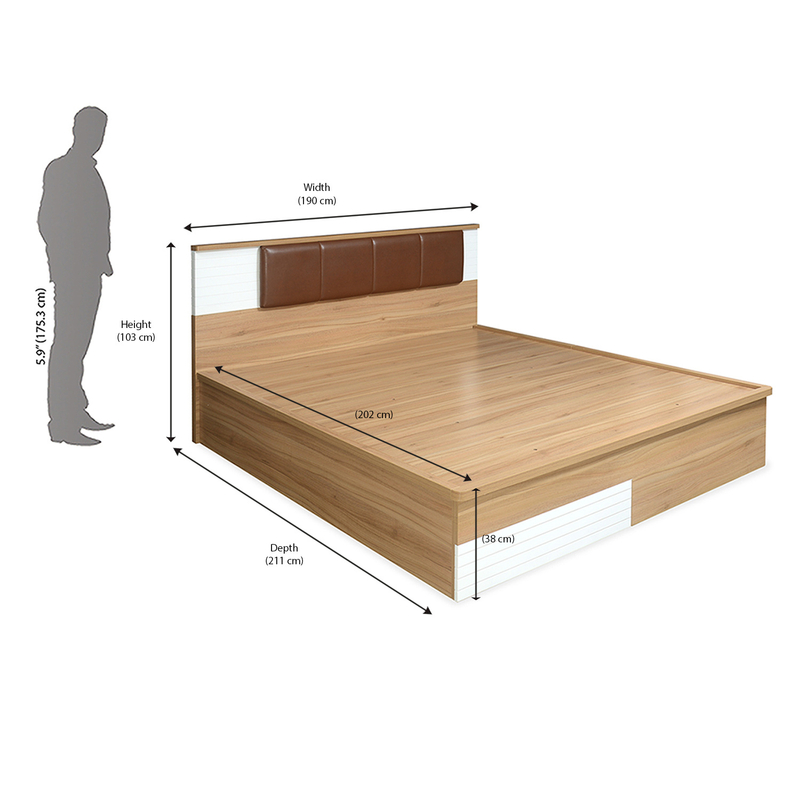 Made up of high quality engineered wood, this bed is tuff and durable. Upgrade your bedroom with some stylish and skilful furniture by @home.